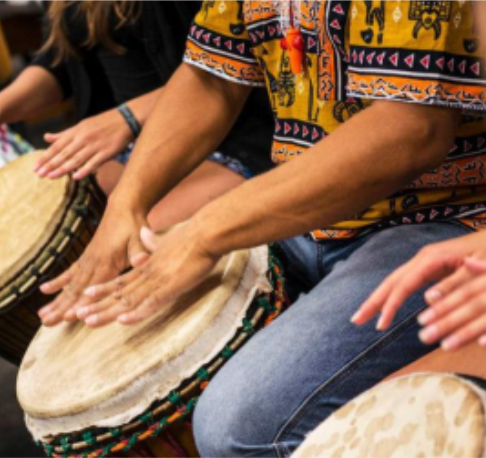 This workshop is an introduction to percussion through African rhythms and creative movement. Through a welcoming drum circle participants discover tempo and rhythms while learning about the role of music in African culture. Discover how the drums are an instrument of self-expression and storytelling while emphasizing teamwork. Please arrive on time: space is limited.